Adam Rippon is competing on the current season of Dancing with the Stars, which is dedicated to athletes. 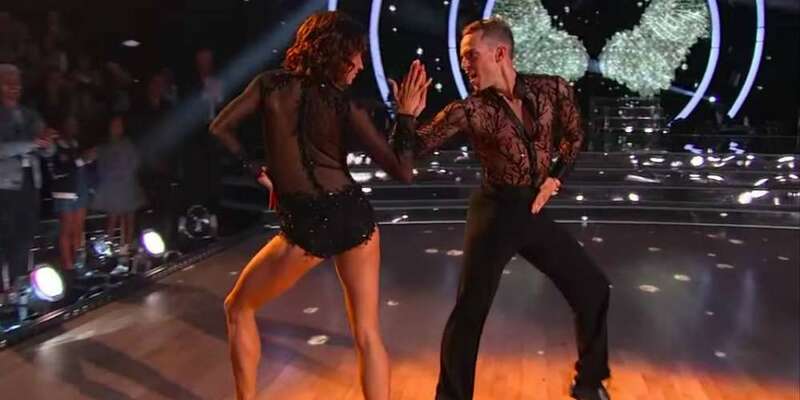 We’re looking forward to seeing the openly gay figure skater back in the spotlight, and on last night’s episode of Dancing with the Stars: Athletes, he did not disappoint. On the series premiere of the reality dance competition show, Rippon explains why he was so excited about competing on the new season, which also features his BFF Mirai Nagasu and former figure skater Tonya Harding. “This experience dancing in front of America — now that the opportunity has come about, it’s time to seize the moment,” Rippon says. Rippon sashayed his way into the competition last night by dancing to RuPaul’s “Sissy That Walk,” showing off some voguing moves, high kicks and lots of personality and sass. And Rippon’s Cha-Cha received great accolades from the judges. Bruno Tonioli was a huge fan, saying, “Angel of the ballroom with the hip action of the devil — everything I like!” Carrie Ann Inaba declared Rippon was “born to do the show,” and that he and Johnson are “a match made in heaven.” Len Goodman proclaimed the dance as “good,” minus a few odd moments. Rippon got 8s from all three judges, which gave him a score of 24 out of 30 — the best score of the night, tied with Washington Redskins player Josh Norman. While seeing Rippon’s dancing abilities and athleticism on full display is fabulous, what’s more important and needed is that his personal brand of queerness is on display, too. 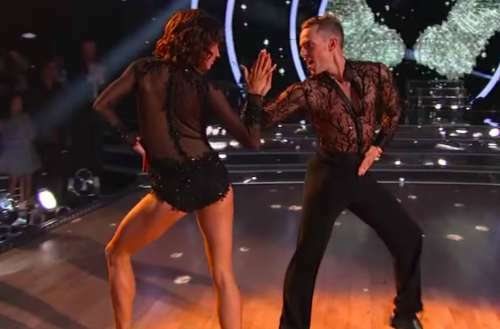 Of course, it’s not the first time an LGBTQ contestant has competed on Dancing With the Stars. (Model and hearing impaired advocate Nyle DiMarco won in 2016.) But Rippon’s personality is unapologetically gay, more than obvious from his song choice. Being front and center of one of America’s most beloved television obsessions, Rippon is bringing queer visibility into the living rooms of America, where it may just be needed most. Now sissy that walk, queen!